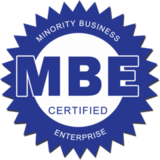 Can't make it to one of our classes, but need to be certified? Sign up for an online course and study at your own pace. 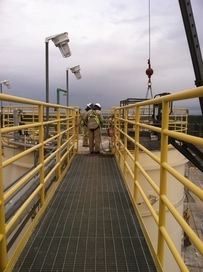 At Greenville Safety Consultants Inc. We have 20 + years of experience working in the safety, heath and environmental industries. In that time we have been entrenched in helping small and large companies throughout the country meet and exceed their environment, health and safety goals. Focusing on OSHA Training, ATSSA Training, MSHA and more in Greenville SC. 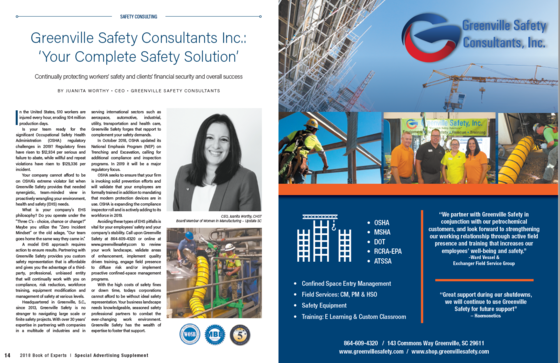 Greenville Safety Consultants can and does provide on site services from Field Safety Officers, Confined Space Rescue, Fall Protection Specialists, Air Quality and all related safety programs. OSHA Training in Columbia SC, OSHA Training in Augusta GA, OSHA Training in Atlanta GA, OSHA Training in Clemson SC, OSHA Training in Anderson SC, Safety Training in Greenville SC, Safety Training in Columbia SC, Safety Training in Anderson SC, Safety Training in Clemson SC, Safety Training in Augusta GA, Safety Training in Atlanta GA, Safety Training in Asheville NC, Safety Training in Hendersonville NC, Safety Training in Charlotte NC.